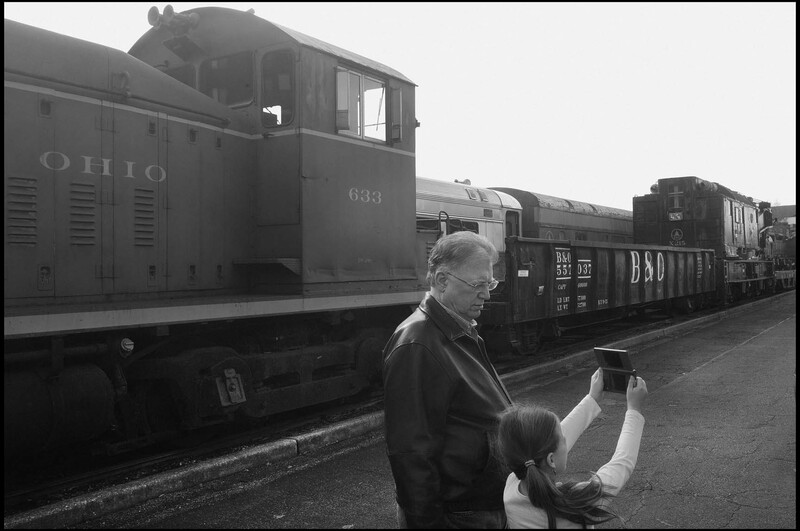 New technology meets old as a visitor to the B&O Railroad Museum uses an electronic device to shoot photos of railcars and locomotives on silent display in the museum's outdoor exhibition area. As part of the B&O's Mt. Clare Shops and Yards, the area was once filled with the hum and clang of everyday industrial activity. Now, the outdoor displays stand as quiet reminders of a bygone era.